Identity and Download Culture: Revolution or Farce? This is the second research note by Shiva Thorat, one of the researchers who received the Social Media Research grant for 2016. Caste is a systematic, oppressive structure that operates in the whole of Indian society as well as in my own location in Khandesh. This oppression exists within the strict binaries of identity and prevents liberation. The free market economy, in the context of ‘download work’, holds out the promise of liberation. This post narrates my story along with Akshay and Ganesh related to our ‘download work’. All of us belong to the Dalit – Adivasi community, and currently Akshay and Ganesh are employed in download work to support themselves and their families. ‘Download work’ becomes an option for livelihood, but does this work help them develop themselves more eclectically? In the context of India, we have seen the rapid spread of mobile phones but the cultural industry in India remains inflected with caste. Omvedt reasons: ‘there is the caste factor: symbolically the deprivation of the majority from knowledge is stamped into Indian cultural traditions’. It is just not about the Indian cultural industry but also casteist cultural practices and ideas, which form the foundation of a form of elitism and hegemonic oppression of the deprived caste. I narrate an incident to elucidate this point further. I live in a place called Baudhwada, which is near the market on the main road, to which there is free access. On one day a man walks up to the front of my house, his motorcycle emblazoned with Shivaji Maharaj’s photo, and demands that I transfer some of the revered King’s songs. He arrogantly asks me if I am busy or not. As I was busy then, I refused and told him come back some other time. He reacted arrogantly demanding that I do his work immediately. If not for caste superiority, I do not find any reasons for his behavior. He tells me that songs were meant for Shivaji Jayanti which then approaching soon. 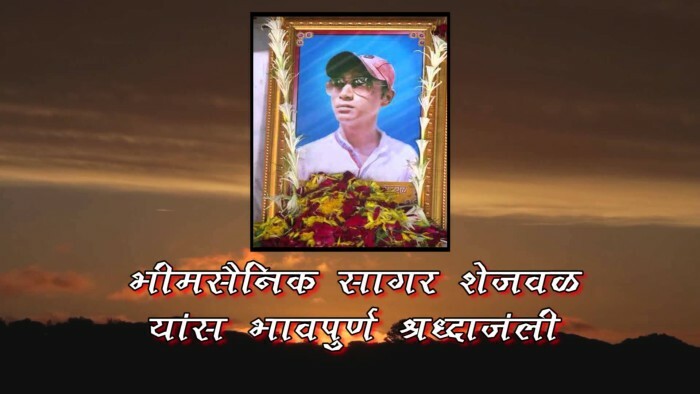 The man was a forward caste Maratha from the nearby village of Shirpur, a community known to operate businesses and control economic and political capital within the region. Brahmanical Shivaji is being appropriated by forward castes like Marathas and Patils in Maharashtra. The download culture that surrounds the industry that I am looking at shows the kind of economic fragility as well as the cultural and social framing that demeans small-scale industries such as this. Ganesh becomes a case in point of the brutal caste system. Ganesh, is a 28 year-old member of the Pawara tribal community in Khandesh. He lives in shemlyapada and works as ‘download worker’ in Shirpur He has studied till the 12th grade and due to discrimination owing to his Adivasi identity, had to discontinue his academic pursuits. Over the years he worked in number places including in a shop owned by Kanaiyya Julwaniya, a Marwari middle-aged entrepreneur based in Shirpur who has various businesses including online services and hotels. As Julwaniya’s businesses were not doing well, Ganesh suggested download work as an option a few years back. Now, Kannaiyya Julwaniya only focuses on download work. He has bought four more computers in his place and employees more people within such work. Ganesh states, “While working in landfills and farms I was not earning enough money, so since the past 7-8 years I am involved in downloading and earning. I am earning but still it is not enough to survive. When I look at the four-five years back, the money was quite good and could support me but now I face ever increasing odds”. The problem that Ganesh faces stems from aforementioned hierarchy. All his problems will not be solved overnight. He is under the illusion that one day he may become rich and famous from this kind of download work but the chances in very real terms are slim. It is a good example in a way where ‘globalization and new media have been influential in shaping the landscapes’ Before download work Ganesh was not able to fulfill his own as well as his family’s needs. But now, he tries to solve this through his work. Ganesh no longer lives in his village of shemalyapada but has moved to the relatively larger town of Shirpur. Ganesh now works in Shirpur forced to make this move because of caste-based social norms. The increased consumption and rapid dissemination of media knowledge has led to a change within the cross sections of caste, class and gender. The narratives of persons such as as Ganesh and Akshay illustrate this. As I have already spoken about Ganesh I will now move on to Akshay’s case. Akshay is 23-years old, and belongs to the Matang community in Jalgaon district. He is a graduate and he is trying to negotiate with his social and economic reality through work in downloading. Akshay said, “If I had a computer a few years ago, my status would have been different and would have given me a kind of intellect too.” His earnings of 10-12 thousand per month is a lot of money for his family. He got married last year and he stressed that it was because of the download work that he became wealthy and received a kind of social capital. Caste becomes a crucial trigger among many in a social setup like Khandesh. Journalists Arun Janardhana (2015), in his report in The Indian Express noted that “the headmaster at Tirunvelli told him that songs could be a trigger to caste apprehension within students.” This proves that music is an important catalyst in bringing about social tension. Sagar Shejwal’s case is the best example to download work related caste based affects and social tension. Shejwal was a 21-year old Dalit boy killed by a crowd in Shirdi, Ahmednagar district, Maharashtra. The Hindustan Times reported this incident. 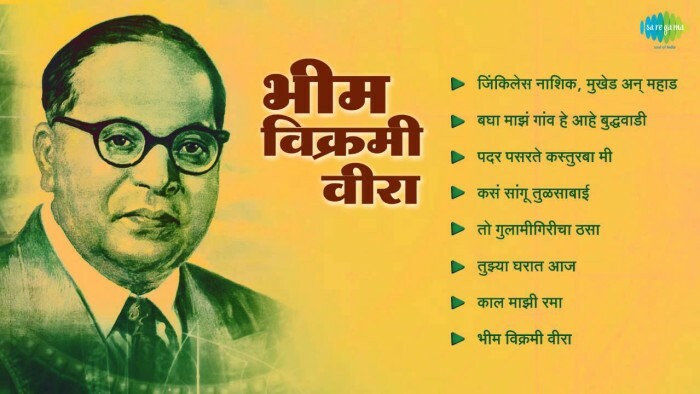 “On hearing the ringtone, “Kara kitihi halla, majboot Bhimacha killa” (Shout all you want, Bhim’s fortress is strong), which was in praise of Ambedkar’s work for Dalits, eight people sitting nearby asked Shejwal to switch it off”. Shejwal was killed in the altercation that followed. 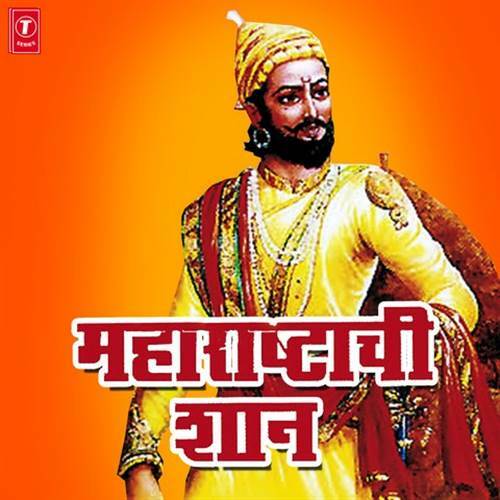 Shivaji is seen as a crowd favorite, interpreted in different light within popular culture according to one’s ideological stand, where Shivaji becomes a means of production through the form of songs. Shivaji fulfills the tripartite role of being an icon, means of production and culture. The relationship of consumers to the download worker is not limited for the transfer of media but is informed by the rigidity of caste hierarchy. Individuals like Ganesh and Akshay are rare, being participants within an economy of new media, trying to survive in the technological age. It is factors such as caste, affordability and accessibility constructing their life choices. In a sense they are living the colored life of caste. “Everything depends on our manipulating technology in the proper manner as a means. We will, as we say, “get” technology “spiritually in hand.” We will master it. The will to mastery becomes all the more urgent the more technology threatens to slip from human control”. In the context of the ‘Khandeshi Download Culture’, technology has come late but the popularity of cultural icons has increased exponentially over a short amount of time. The very short informative movie made by Aseem Tribhuvan and Viraj Munot, ‘Sabka Internet – The Guide’, where the protagonists do the same kind of work that I did along with Akshay and Ganesh. The movie shows the protagonists being the guide for urban settlements where illiteracy and fantasies fueled by globalisation rule the world. In the short movie the directors shows the protagonists to be charging Rs. 100 for opening Facebook and Gmail accounts, where the protagonists do the same kind of download work that I have mentioned above, charging around Rs. 100 for 1GB of data. Omvedt depicts the fact that India is not doing very well in an economy that is ruled by small and big scale industries allied to computing. According to Omvedt, India is far behind in matters of technology such as television and mobile phones to other South Asian countries like China, although we do see a certain amount of regional disparity where cities like Pune, Bengaluru, and Hyderabad being more technologically advance and commanding higher wages. Both within urban and rural dichotomies we see that with a certain kind of economic capital social mobility, especially literacy is encouraged. Thinking of literacy and language we see that there are regional biases and such a microcosm of a political economy exists within Khandeshi society. Rural areas are homogenous in the way they make popular culture choices and evidenced through singing, listening and dancing. Download culture becomes a site where hegemonies and power play become visible. Akshay and Ganesh belong to the lowest strata of Khandeshi community in matters of both their class and caste. For individuals such as Akshay and Ganesh, various forms of caste are a material reality. The social geography and demography of a particular space is seen to influence consumer’s choices. Caste reality is not only worn on the neck or wrist but is also seen in the form of songs. Here, caste becomes visible through the choice, taste and demands of songs. The socio-political context of consumers influence their choice of songs. The movie ‘Sabka Internet – The Guide’ also shows consumer choice related to form of Jayantis (festivals). These protagonists in the age of new media are not only download workers but also providers of popular culture through consumer choices. ‘Download workers’ have just started to be beneficiaries in the process within a small-scale industry that has both pros and cons. Download culture seems to offer a rare hope of breaking a caste-based social set up, but giving rise to certain counter consequences as I have attempted to narrate in this post. Shiv Jayanti is the King Shivaji birth anniversary celebration but involved to that there is difference between the birthday of King Shivaji. After Rohit Vemula’s institutional murder this term became popular within certain discourses. It is related to the identity of Dalit students in higher education.